I’ve been dreading the general election for this reason too, but this week’s Democratic National Convention was so successfully optimistic and forward-looking that I’m trying to do a little mental jujitsu on myself. I’ve decided, after another great Democratic president, Franklin Delano Roosevelt in his second inaugural address, to “welcome their hatred” for the Democratic nominee. Perhaps we should see it as yet another strength of Clinton as a political candidate and as a leader that she’s catching so much flak. After all, the vast majority of it from people who are just truly, deeply wrong and/or possibly bad people. In my experience as a woman, it can be a problem if no one dislikes or resents us, because the only reason people don’t dislike us is that they don’t see us as important or at all powerful. That’s why women who have no real power are so well-liked: they’re completely non-threatening to anyone. When will they stop hating America? So, let’s do this, friends. 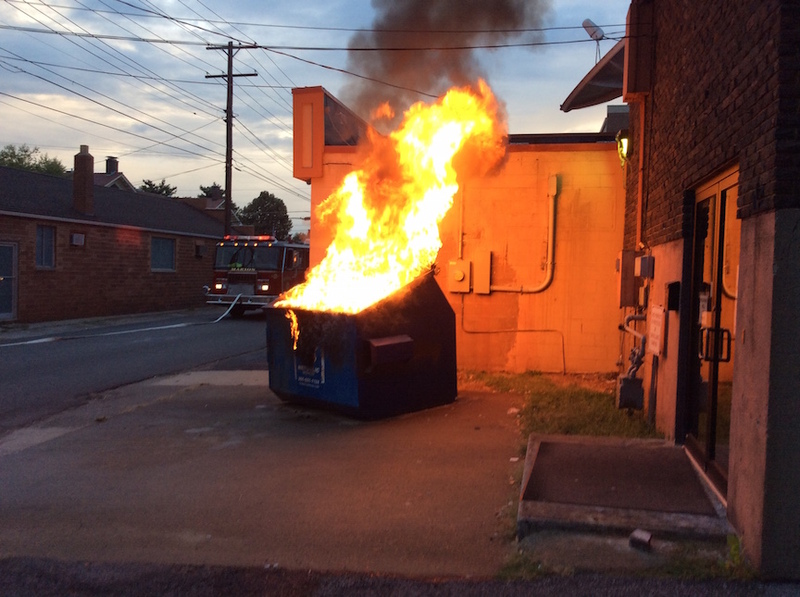 At the very least, the mental and emotional breakdowns of all of the Clinton-haters out there will be such an incandescent dumpster fire to behold come the morning of November 9, 2016. I’ll bring the hot dogs and marshmallows, and it will be a party! It surely is a big f^ng deal! I’m thrilled! 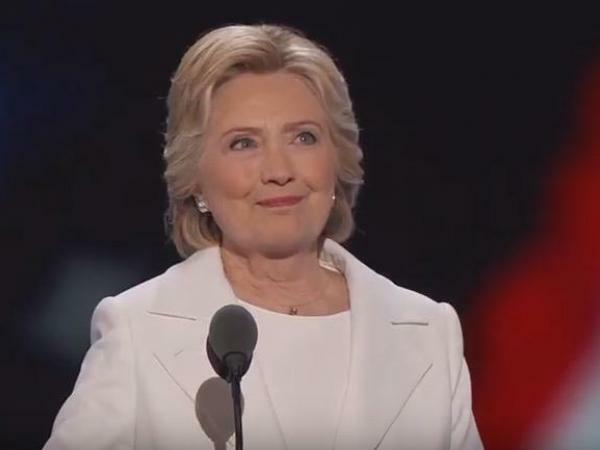 At least from my perspective, both her speech and the convention as a whole seemed really, really well done — good, solid, American values, well-expressed. And at the end, we have a well-qualified candidate who is also, for the first time in 240 years, female. Big f^ng deal, indeed. Hurrah! She pitched it just right, carried it just long enough, and let the whole house carry the emotional part. Bernie is obviously still stewing, to judge from the camera look-ins, but he did the good soldier thing and I appreciated that. One tiny thing I noticed in the speech which suggests that she’s going to balance deftly the “legacy” part with the transition to the “new sheriff” part, is that she actually said “ISIS.” Nobody in the executive branch for the last two years who didn’t want to disappear has dared to use anything else but the weirdly-unexplained linguistic turn preference of the Situation Room, viz. “ISIL.” (Except for John Kerry who gets to use the worldly “Daesh,”–the boss isn’t going to swift-boat him for that). May be a meaningless detail, but I took it to mean that the legacy transition will have its reasonable limits. The musical numbers were great. I YouTubed the 1968 confrontation in Chicago between Daley and Ribicoff, and the contrast was bizarre. Black and white tv, virtually all men in that old barn on the South Side. If they had done music then it would have been Blue Cheer, opening for who else, Chicago, with all the dragging of amps back and forth, in and out. The balloon drop last night was almost too much. I was afraid Bill would walk backwards over the 16 foot stage drop-off, or worse, one of those excited kids, who could barely see over the sea of balloons. But a good show, and a good campaign coming up! I’m in the states this week and have been able to watch some on PBS (my family have been watching on Al Jazeera). I’ve really enjoyed the short interviews with older women on the convention floor. Some great reflections on what this nomination means. And yes, well a programmed week, well delivered for television. Now the job is to get out the vote. I’m so grateful to have lived to see this day; I wish my mother had seen it with me. I am also perplexed by the extant to which people have responded to her negatively throughout her career. It was particularly striking to me this week as a contrast to the love people seem to have for Michelle Obama. I remember how people reacted to HRC as first lady and how much criticism she had to deal with, no matter what she said or did. Yet on paper, the two really aren’t that different. If I were a different kind of academic, I might think about researching what is behind it all. Clearly it has nothing to do with the actual people in question since the vast majority of Americans have never met either of them…but I think you identify some of the reasons here. She is confrontational, and many people don’t like that in a woman. Hopefully they will appreciate it in a President. Thanks for all of your comments–was out hiking yesterday & so away from the convo. Don’t walk, RUN over to this link and read the brilliant Alexandra Petri on “What Hillary Really Meant to Say on Her Historic Night.” Enjoy! p.s. Another vote for HRC to go all badass from Bill Maher this week. Petri’s piece was brilliant. Sadly, a few Hillary supporters (as well as the usual detractors) didn’t quite catch its drift. I especially liked the last line. Being first isn’t easy. I guess I didn’t get the same drift as others here from Petri’s essay. To me it said: I’ll point out the unfair crap she gets for being a woman, but I really, really dislike her personally. That said, I did get a big chuckle from a couple of things. First was the undue liability lines. I spent most of my years at the law firm assisting litigation lawyers, so legal humor usually tickles me. The other was about the white pantsuit making Clinton look like she’s ready for a revival of Jesus Christ Superstar. Because that’s the first thing that popped into my mind when I saw a picture of her. H.C. Superstar? Maybe time to try out my parody skills again. I thought Petri really hit the sweet spot of making fun of the caricature of Hillary Clinton while not writing a purely worshipful satire. I liked it a lot! Just think if they’d done the video montage of presidents on Tuesday (?) as an actual, horizontally-suspended “ceiling” under the arena roof, instead of vertically on-screen behind the stage, and brought down thousands of glistening styrofoam “shards” into the superboxes, etc. Wells Fargo probably would have demanded a quintupling of the liability rider. The California runnagadoes would have claimed that most of the “glass” was aimed at them–and Vermont.